Bred on the same cross as Gingernuts – by Iffraaj, out of a Generous mare – trained by Te Akau to win the NZ Derby (Gr. 1, 2400m), Rosehill Guineas (Gr. 1, 2000m), and Windsor Park Stud (Gr. 1, 1600m). 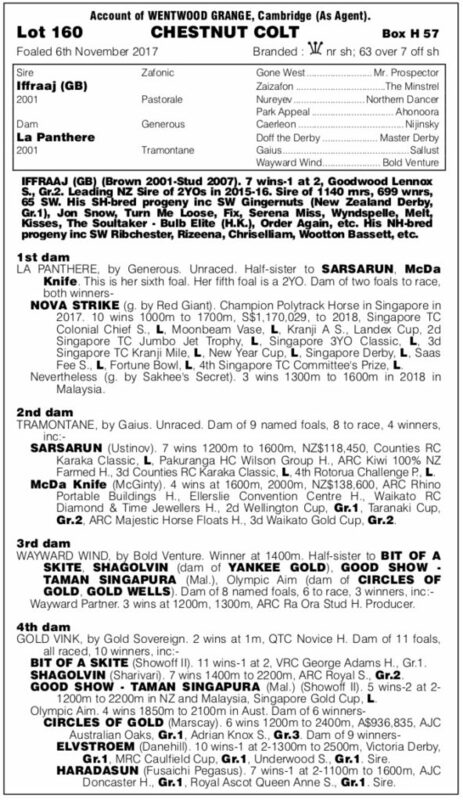 Although unraced, dam La Panthere is a half-sister to impressive winner Sarsarun (Ustinov) who included the Karaka Classic (Listed, 1600m) amongst seven wins. Their dam, Tramotane, was by Gaius, a sire that instilled plenty of athleticism into his progeny and she also left a very good staying horse in McDa Knife that won four races to 2000 metres. 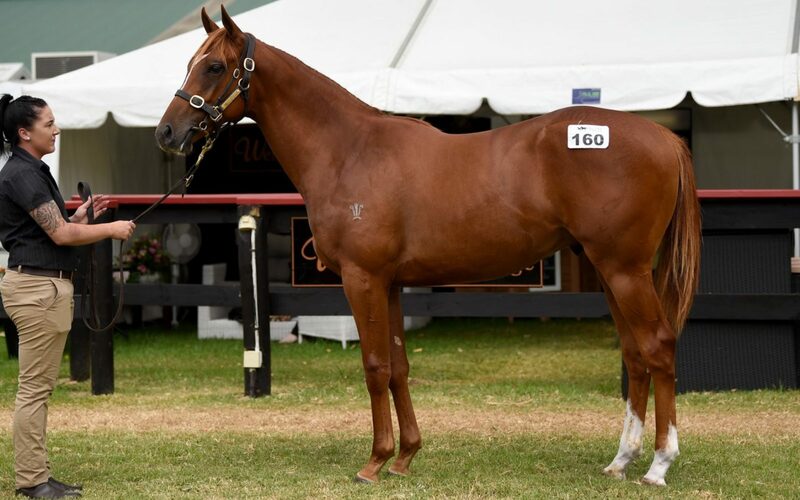 “He’s a lovely horse, good value and we had quite a bit more to spend on him,” said David Ellis.